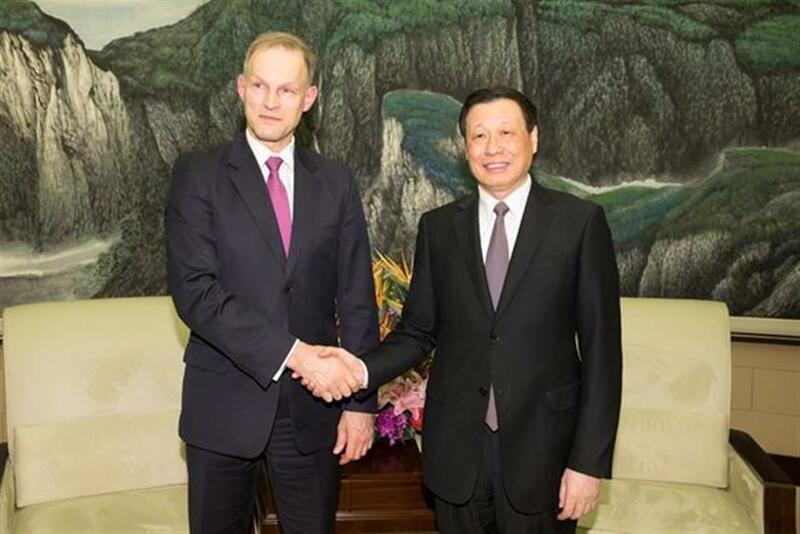 Shanghai Mayor Ying Yong met Wojciech Zajaczkowski, Polish ambassador to China, and his delegation on Wednesday. Ying briefed his guests on Shanghai’s social and economic development. He said China and Poland have a long history of friendship and their cooperation has ever been deepening in various fields since the establishment of the strategic partnership between the two countries in 2016. The city is working hard to build its economic, financial, trade, and shipping centers and its global influential technology and innovation center, Ying added. Also, the city is trying to build itself into an excellent and international metropolis. During the process, Shanghai is willing to further strengthen the cooperation with Poland in trade, cultural industries, and tourism under the framework of strategic partnership. Zajaczkowski said Shanghai has always played an important part in advancing China and Poland’s partnership. Poland will participate in the upcoming China International Import Expo in Shanghai and is willing to enhance cooperation with Shanghai in trade, cultural industries, tourism, and technological researches. Piotr Nowotniak, Poland’s general consul in Shanghai, also attended the meeting. Shanghai Mayor Ying Yong meets Wojciech Zajaczkowski, Polish ambassador to China.